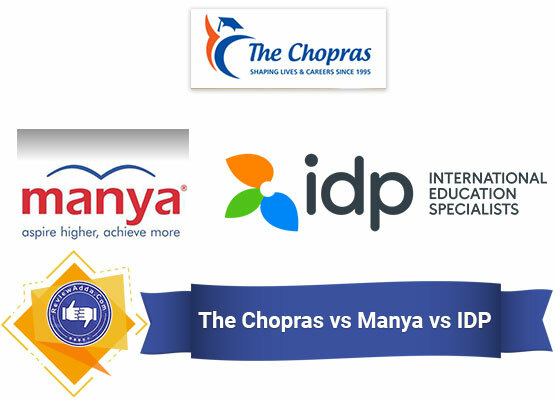 Education consultancy service provider The chopras Vs Manya Group Vs IDP Education have become a primed part of the education sector. While there services they offer are diverse and wide-ranging, the premier reason behind their rise can be attributed to the increased number of students seeking admissions abroad. The education sector in India has seen a tectonic shift from it’s humbles beginnings in the 1960s. As the demand for quality education increased across all classes of society, the same wasn’t reflected by the intake of government colleges which didn’t increase proportionately. This led to aspirants having two options; either to choose a private college or to study abroad. The arrival of many students to this particular crossroad supplemented the increase of students moving abroad for studies. This scenario still exists, as government colleges have still chosen to maintain exclusivity over inclusiveness. One thing to note is that this wasn’t the primary reason behind students going abroad. Indian students have been travelling abroad to study for a very long time. This creation of such a scenario only aggravated this long standing tradition into becoming a trend. While it may seem simple to pack up and move abroad to study, but the reality suggests otherwise. To study abroad, one is required to get admission to a university and get visa approval, both of which are far from easy in any sense of the word. To guide students through the tumultuous process of firstly getting admission and subsequently securing a student visa, education consultancies offer their services at a premium. Others have a contrasting opinion about the nature of the services consultancies provide. The general consensus amongst this group is that while these organizations have distinct knowledge of the working of visa issuing authorities and foreign universities, they often fall into the trap of promoting certain affiliate colleges. Experiences such as these are not uncommon. Many-a-times, consultancy services succeed in convincing students to join colleges which seem legitimate on paper, but are anything but in reality. Thus, it is vital not to throw caution in the wind while availing the services of a consultancy agency. 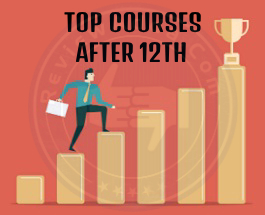 Remaining on topic, there are a few top education consultancy agencies which remain well-renowned for sending students to some of the top universities in the world. Some of them have been discussed and will later be analyzed in a wholesome comparison. Though the name might not suggest the cognizance of an education consultancy to the uninitiated, The Chopras has become a resonant name in the consultancy business in the past 22 years. The rising popularity of The Chopras in these past few years can be explained by the sheer number of students they have managed to send abroad and the glowing feedback they have received. From guiding the students through the initial university admission process to getting visa approval and even organizing seminars and offering accommodation services to students moving abroad. The Chopras has its presence seeped across colleges in USA, UK, Germany, Australia, Singapore, Canada, France and many other countries. Some of The Chopras education services offered have been listed below. A key service provided by education consultancy services is assistance in university admission process. In India, college admissions are inherently straightforward as the procedure is largely predicated upon the performance of a candidate in a given entrance exam alone. 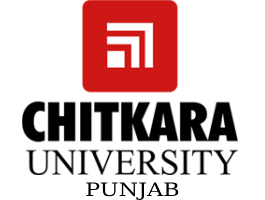 Some of the services provided by The Chopras under this category includes profiling of the candidate, university selection based on performance in standardized tests such as GMAT, GRE, SAT, TOEFL and IELTS, editing of documents such as SOP and preparation for interview if such a criterion is imposed by university. Many candidates often wrongly believe that education consultancy agencies have a role to play in visa approval. Since they are in the business of sending students abroad for studies, education consultancies are well-versed with the nuances and intricacies installed in the framework of visa-issuing authorities. Education consultants can only guide the candidates over the process of visa approval. Often times, parents and students make the mistake of assuming consultancy agencies for being the actual issuing authorities. The consulate of the country in which the university is located has the final say over the student visa. Moving abroad for studies is not simply an academic challenge, but a cultural and social behemoth to conquer. To help students in India make the transition to studying abroad, The Chopras organize many seminars for outgoing students. These seminars focus on giving the students a cultural and social introduction to life in the country to which the students would be travelling. Other services such as accommodation, travel and health insurance, foreign exchange and telecom services are also provided by The Chopras. The fees charged by The Chopras for university admission guidance and visa counseling are technically zero. They earn their share via commission which is included as service fees in the general fee structure of the university. Edwise Education is amongst the most trusted names for foreign university admissions in India. 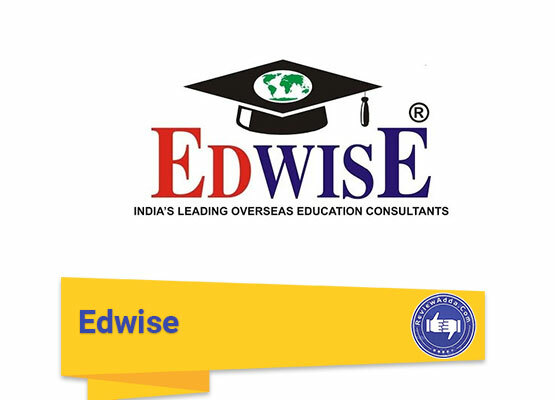 Amongst the oldest education consultancies in the country, Edwise started back in 1991 when Indian students were slowly turning towards international education as a viable option. It has since been a leader in successfully sending students to foreign universities at UG, PG and doctoral level. Some of the Edwise services offered across 25 centres in India are given below. Edwise is very popular for its test prep courses which cover a number of standardized tests such as GMAT, GRE, TOEFL, IELTS, SAT and PTE. These modules are constantly updated by the Edwise team to help students acclimatize to the changes in the form of questioning in such exams. Edwise offers university admission counseling to students who are often times unaware of the hurley-burleys of foreign admissions. The process begins by first selecting a bunch of universities a prospective student should apply for. This is based on his/her performance in school/college and in the given standardized test. This is followed by applying to the college. Edwise also assists students in the preparation of documents such as SOPs and procurement of LORs from teachers and professors. Finally, Edwise guides the candidates through the visa issuing process. The approval of the visa is subject to the jurisdiction of the consulate and is not in any way determined by Edwise or any other consultancy. These services include assistance which is otherwise not considered by many students. Edwise organizes many pre-departure guidance seminars for students to understand the social and cultural model they must ingratiate with once they reach the particular foreign country.For instance, India and the US differ on many different social, cultural and economic levels. To avoid Indian students suffering from a cultural shock upon landing the States, Edwise organized pre-departure events. Furthermore, Edwise offers other services like travel and medical insurance assistance, and scholarship guidance. Another major name in the education consulting industry in India, Manya Education is the South East Asian affiliate of The Princeton Review (TPR). The latter is the largest test prep service provider in the world for exams such as GMAT, GRE, SAT, TOEFL, IELTS and ACT. Established in 2002 as a response to the rise in demand for foreign university education amongst Indian students, Manya has successfully become a well-known brand in the education consultancy industry. The added glamour brought by the TPR tag lends Manya a lot of credibility. Besides offering test prep services to aspiring candidates, Manya Education also offers the traditional consultancy services which form the core of its popularity in India. The first step to securing admissions to any major university abroad is to ace the necessary standardized test. Manya Education in partnership with The Princeton Review offers a number of courses offering test prep for exams such as GMAT, GRE, SAT and many others. A survey done a few years back estimated almost 50% of America’s college graduates had used TPR’s resources at one point of time or another. This figure is only expected to grow as the quality of education becomes more and more important in the coming years. Manya has its own unique approach to conducting its overseas admission services. Known for being highly customizable according to the specific needs of every student, Manya offers a one-one-one counselor driven service from the outset. The process is very wholesome, involving identifying specific schools and universities according a candidate’s area of interest and isolating key weak points to work on. This is followed by writing, editing and procurement of several documents such as letter of recommendations (LORs), statement of purpose (SOPs), essays and resumes. Furthermore, candidates are also given interview training if the university imposes such a criterion and visa approval guidance if admission is provisionally granted by university. One of Manya’s specialties is its language training cell. TOEFL and IELTS were thought to be daunting by Indian students at one point of time. The strategic teaching methods of coaching institutes and education consultancies, one of whom is Manya Education, changed the way Indian students approach standardized language proficiency tests. The fee for admission counseling is zero, as was the case with The Chopras. Test prep and language training courses are however charged as the agency deems fit. Most popular for IELTS, IDP Education is the biggest education consultancy agency in the world. Located in more than 37 countries, IDP’s global appeal and recognition is well renowned and recognized by students and universities alike. A majority of universities in the world accept IDP’s IELTS score as proof of proficiency in English. Besides the exam, IDP has well known connections across universities around the world. While it started out in 1988 to increase the standard of English teaching in Asian and Oceanic countries, it has since grown into a global education consulting conglomerate. Originally an Australian company, IDP is partially owned by 37 Australian universities with a combined share of nearly 50%. This is a key reason why IDP is most popular amongst candidates looking to pursue education in Australia. Since its inception, IDP has offered admission solutions to more than 400,000 students around the globe. Some key IDP Education services are given below. While The Chopras and Manya have wide ranging focus on practically all countries with strong educational programmes, IDP targets countries where English is the primary language of discourse. 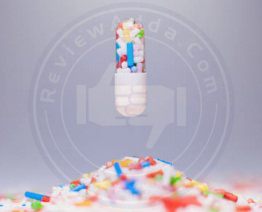 Thus, its operations are spread across Australia, UK, Canada, USA and New Zealand. When it comes to studying in Australia especially, most students prefer IDP as it is more entrenched in the country than any other education consultancy in the world. The IELTS is one of the most famous English Language proficiency indicators in the world, giving close competition to US-based TOEFL. It is often used by consulates as a test to determine aptitude in English. IDP Education is the co-founder of IELTS. Conducted in over 200 locations over 45 countries, IELTS managed to have two million takers in 2013 alone. The new IDP venture of English Language teaching is primarily located in Vietnam, Cambodia and Thailand. IDP has established nine learning campuses in these three countries, with an inherent aim of improving the quality of English language education in these countries. IDP Education fairs are also fairly popular amongst students from schools and colleges looking to pursue study abroad after finishing their schooling in India. Jamboree has always been much more popular for its test prep services than admission counseling. In fact, Jamboree is often counted amongst the top coaching centres for standardized tests in India. Amongst candidates, Jamboree is an equally trustworthy name for a variety of reasons. 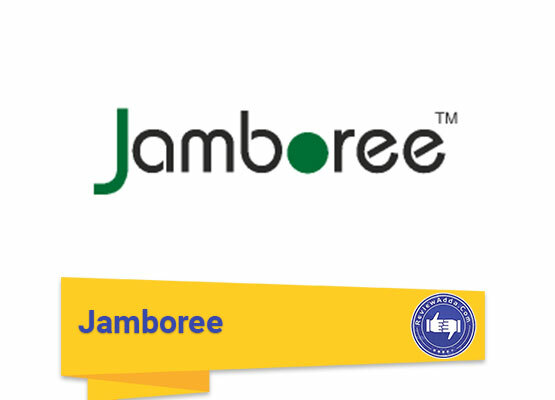 Besides its brand name, Jamboree has been able to maintain a spotless image amongst aspirants across India since its institution back in 1993. The wheels of time of shone upon Jamboree as it now has 34 centres across 21 cities in India and three centres abroad in UAE, Kathmandu and Singapore. Some Jamboree services offered to candidates looking to pursue education abroad have been listed below. Jamboree has made its name in the education industry through its popular coaching programme for preliminary exams for admissions to foreign universities. 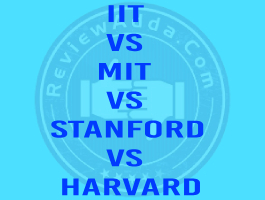 Some of these exams include GMAT, TOEFL, GRE and IELTS. The teaching methodology at Jamboree is known for being very personalized and effable. This is stark contrast to many other coaching institutes who tend to embrace Darwinian ideas. Admission counseling at Jamboree follows a similar pattern to its counterparts. The process begins with choosing a particular set of colleges based upon the candidate’s preference and exam score. Jamboree further guides candidates in the procurement and writing of LORs and SOPs respectively. Other documents such as essays, resumes and application forms are also edited and reviewed by Jamboree as part of its counseling services. Jamboree often organizes seminars at prominent schools and colleges in India to tap the growing surge in demand for top-draw foreign education. The key role of these workshops and seminars is o highlight the quality of programmes offered at foreign universities. 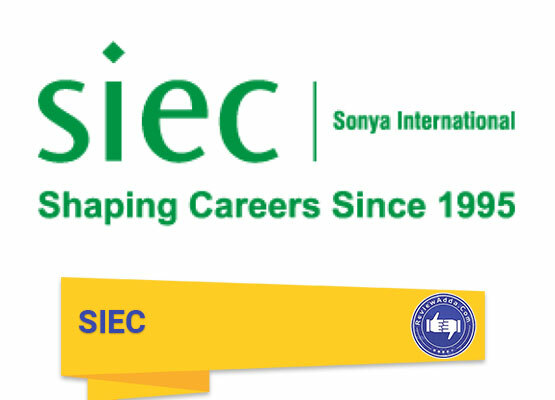 One of the oldest names in the education consultancy business in India, SIEC Education has for long been a major contributor to Indian students moving abroad for studies every year. Covering most of the popular foreign destinations for studies, SIEC has widespread connections with universities in the US, Australia, Malaysia, Ireland and UK. The rise of SIEC can be attributed down to the growing increase in demand for foreign university education. While earlier Indian students only left the country if they were getting admission to a top university, the scenario has now changed as mid-tier universities are also garnering attention. This trend has proved beneficial for SIEC and other education consultancies. People with enough financial resources are choosing to send their children abroad, as even a mid-level state college in the US or UK has more facilities and qualities than a top college in India. A summary of SIEC services offered is given below. The popular perception that students cannot sleepwalk through college life abroad as they are able to in India is true for most cases. The courses offered at foreign universities are known for being very demanding and require a proportionate amount of commitment. This is the reason why SIEC offers career counseling to gauge which field is suited best for a given candidate. 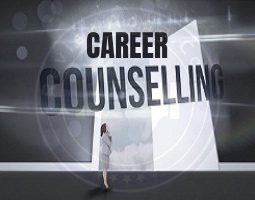 SIEC offers admission counseling in the same form as many other education consultancies. With a wide network of education representatives at various university campuses around the globe, SIEC is able to streamline a student’s journey from the college application stage to the final departure. This streamlining includes editing and compiling all the necessary documents and guiding the candidate through the visa interview process. A key difference between SIEC and other consultancies is their ability to reach out to students in schools and colleges and inform them about the upsides of pursuing education abroad. The SIEC educational fairs and seminars are known for being extremely informative with many foreign universities being invited to the event to discuss the core essentials of their institution. Canam Consultants in linguistic terms is the amalgamation of the words ‘Canada’ and ‘America’. True to its name, Canam offers student counseling programmes for admissions to universities mainly in the US and Canada. Due to the presence of a thriving Indian community in both these countries, many students usually prefer US and Canada for education. Canam understands this preference many students have and has subsequently modeled its admission counseling procedure accordingly. 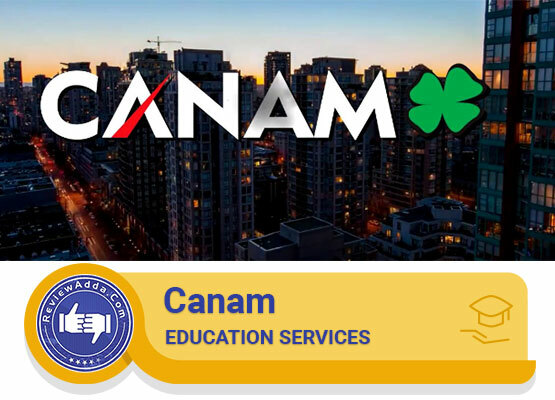 Initiated back in 1996, Canam Consultants have now grown into a major force in the education industry, offering solutions to students looking to pursue education abroad. Some Canam services have been discussed below. Like many other consultancy agencies on the list, Canam Consultants also offers test preparation for various standardized exams such as GMAT, GRE and others. Canam admission counseling process begins with university selection and application form filling. This is done by analyzing a candidate’s aptitude and academic potential based on performance on standardized test. Following the initial stage of application is the procurement and polishing of documents such as LORs, SOPs, essays and resumes. Universities often insist on conducting a face-to-face interview with the candidate itself via the internet for which Canam counselors readily offer guidance. Lastly, Canam counselors also guide the students for the final visa issuing stage. However, they do not have any issuing authority over visa approval. Services such as currency exchange, travel and medical insurance, accommodation and campus ingratiation are offered as value added service by Canam Consultants. Lastly, we call upon one of the oldest names on this shore of the education industry, Global Education Consultants (GEC). Based in Kerala, GEC was established back in 1993 to allay the confusion many Indian students had regarding admission to foreign universities. Almost 25 years down the road, GEC is amongst the pack of the top consultancy groups, all of whom are vying for the top prize. GEC organized various events and seminars to educate Indian students about the benefits of pursuing admission to foreign universities. Some of the GEC services are listed below. The core service offered by GEC is admission counseling. As the process for almost all other consultancies mentioned before states, GEC identifies a list of colleges based on a given candidates performance in a standard test such as GRE, GMAT or others. This is further followed by document editing and procurement and visa counseling. A major reason behind GEC popularity is the consistent organization of seminars and workshops from their side. GEC invites many colleges and universities from Australia, US, UK and Canada to participate in education fairs and seminars it organizes. These workshops educate students in schools and colleges about the brass tacks of studying abroad. This is a key strategy they have adopted to build brand awareness amongst students. The fruitful discussion of the top eight consultancies in India throws up one crucial question: which is the best? Education abroad is no laughing matter. If a candidate does decide to avail the services of an education consultancy, the last thing he/she would want is to botch up the choice of education agency chosen. Making any decision on choosing a consultancy boils down to considering some basic factors. These factors, which every candidate should consider before choosing a education consultancy are given below. The credibility of an education consultancy goes a long way in establishing its name amongst candidates. The credibility of a education consultancy is often down to its perception in the market. With many consultancy groups coming in the spat of controversy over duping students into taking admission to far-flung universities, education consultancies are slowly coming under the watchful eyes of general public. Thus, credibility for an education consultancy is everything. It is crucial for any consultancy to have a strong network of university representatives under its cloud. Without the presence of such a network, a education consultancy would be nothing more than providers of information which is readily available online. A strong international network sets an education consultancy apart from the crowd and is much more popular amongst candidates. Any education consultancy will only be able to serve candidates better if it has a no-exception 1-on-1 counselor to candidate approach. This helps the candidate learn about the process of getting admission abroad much more cohesively. Such a system is only possible if the given institute has centres across the country. Thus, a pan India presence is crucial for an education consultancy. Sometimes, certain consultancies focus primarily on one or two countries only. This is a flawed approach as any changes made by the country in its immigration policy can singlehandedly disrupt a business (for instance, the US since 2017). Thus, it is crucial that an education consultancy has a wide network of colleges with atleast four countries on its list. This puts the candidate and the agency in a safe position. In the current placement session most of the guys of 2016 batch are placed. Here is the department wise figure ECE 180 out of 215 eligible students ,CSE 110 out of 120 eligible students, ISE 105 out of 120 eligible students, TCE 53 out of 60 eligible students complete data is not available but placement is very good and it is expected that at the end of current session all eligible students will get placed.